*** A Grad transfer name to keep an eye on is Virginia offensive lineman RJ Proctor. 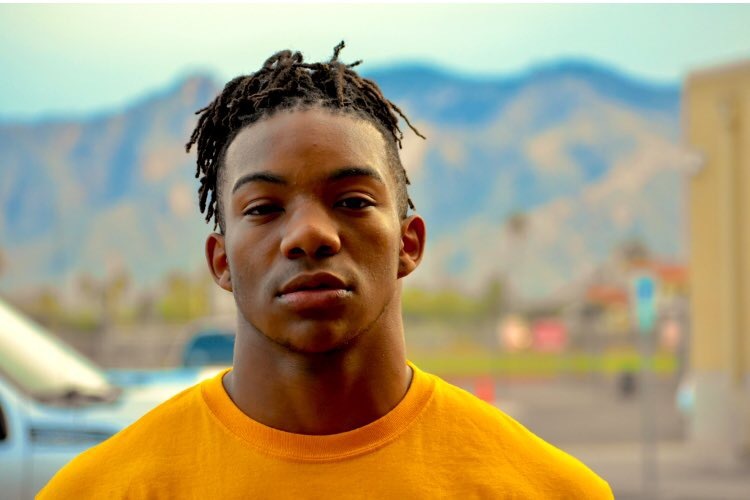 I caught up with Proctor briefly and he let me know that he will be making plans in the next few days to get out to Norman for an official visit. Proctor plans on visiting Ohio State, Florida State, and Texas and plans on getting to Norman sometime in March. I will update you when the visit is set. For the past few weeks, the Sooners have been evaluating 2020 defensive back, Ryan Watts (Little Elm, TX). Coach Riley and coach Gundy were by to see Watts a week or so ago. That visit was followed by another visit from OU staffers last Wednesday when coach Grinch and coach Gundy stopped by little Elm. Watts tells me he will be up in Norman this weekend for an unofficial visit. Rogers tells us he is being recruited as a DB and a Slot WR. Coach Riley, Coach Grinch, and Coach Gundy have all been down to see him recently. Coach Manning is going down to see him later this week. Jahari also tells me he will be visiting Norman this weekend. We will have more on him in the near future, but one thing he just told us is that his grandfather, Sidney Brown, won two National Championships playing defensive back…at OU in 1974 and 1975. Why Maybe? Because it comes down to who exactly the three backs would be. James and I have been working with our sources on developing a clearer picture of how exactly the Sooners are approaching the 2020 running back class. 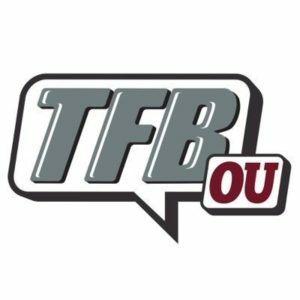 Following the 2019 season, the Sooners will have three backs who will be draft eligible (Sermon, Brooks, Stevenson) as well as TJ Pledger and Marcus Major who will not be draft eligible. While Sermon, Brooks, and Stevenson are draft eligible, we are working under the assumption that only one of them will take the plunge and announce for the draft following the season. (Sermon seems the most likely, however, I personally think Brooks may have the better numbers this year, but regardless, we will say one leaves with a possibility that two leave). *** OU currently has one elite running back verbally committed in Aledo’s Jase McClellan. McClellan is a 5’10” 200 lb. traditional running back. Kid goes north to south in rapid fashion and has some nice speed and wiggle in him, Definitely an elite back and absolutely one OU hopes to hold onto. OU is also very interested in two other backs right now. You are familiar with one, Jaylan Knighton who was committed to the Sooners for quite some time before recently opening up his recruitment, and the other is Chris Tyree who will be visiting Norman this weekend. Chris Tyree – 5’9″ 180 lbs – Chester, VA. Both Knighton and Tyree are smaller stature guys but the one thing they have in common is blazing speed. You cannot teach that and Lincoln Riley and Jay Boulware would love to have that at their disposal. Ou has a history of effectively using backs with different skill sets. Look back no further than Joe Mixon and Samaje Perine for an example of such. So the answer to the question: “Will OU take three backs this cycle?” is a definite maybe. Sources tell us the Sooners ideal class would include McClellan and one of Evans, Milton, McGowan, and Robinson as well as one of Knighton and Tyree. I still maintain it will be a hard sell to land three elite backs in the same class, regardless of their style. However, I am not Lincoln Riley and we have seen him work magic before by pulling moves such as landing three elite wide receivers in the same class…I put nothing past him. 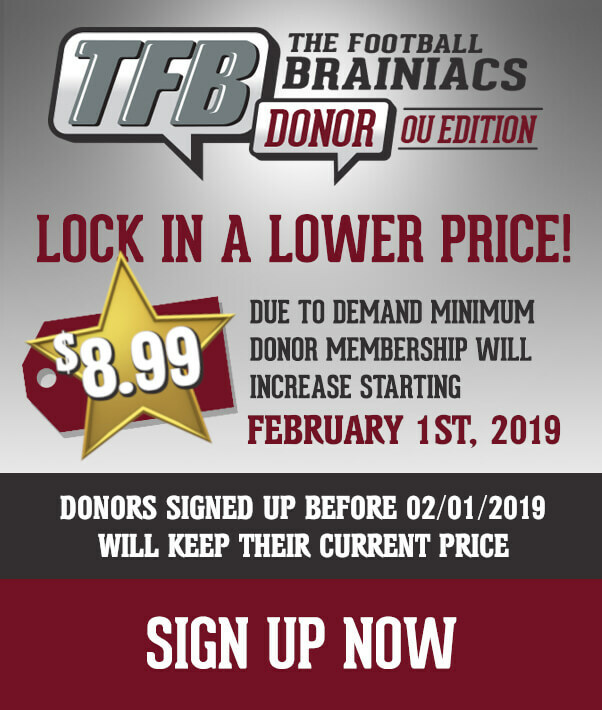 If you would like to read James Hale’s Monday Notebook, please click the Donor Board link! Was in Tuscon (AZ) at Salpointe Catholic earlier this week to see a few players. ***Lathan Ransom (2020 safety). Lincoln Riley was at Salpointe yesterday to see Ransom, Robinson and presumably Miller as well (mentioned below). Ransom is a tall, muscular safety who can hit. I’ve been told he’s the hardest hitting safety in Arizona. High priority target for Oklahoma. Said he picked up his OU offer after the first game of the season last year. So, he was a high priority to the previous staff and is a high priority for this staff. Ransom said he plans on taking an official visit to Oklahoma. I’ll have more with him later. Robinson appears to be a high priority back for Oklahoma. He told me that he talks to coach Boulware all the time. Robinson said coach Boulware wants Robinson to come out for a visit. It sounds like the visit will help. Bijan said he plans to get to Norman sometime in March. Just an absolutely stacked running back class. Miller said that his previous OU contact was coach Kish who was the area recruiter. Not sure just yet how high of a priority Jonah may become for OU but it’s still early in his recruitment. I plan on seeing Sooners 2020 OT target, Tosh Baker, later. I’ll be by Sagauro High School as well to see Kelee Ringo and the other many talented players at there.